MedForward web designs to promote your brand are: custom, easy-to-navigate, animated, and aesthetically pleasing. The designs are delivered on time according to the scheduled project delivery dates. 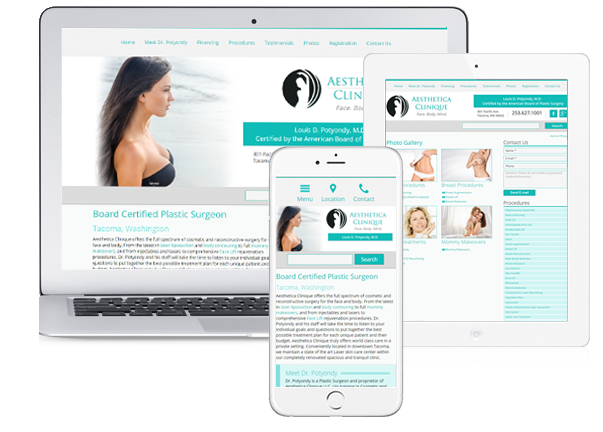 A custom medical website design will communicate your professionalism. 89% of your potential new patients use a mobile device to browse the web. Let us ensure your website is responsive with HTML5. We embrace the latest development techniques. Our development team uses the latest design and coding methods to ensure your website is compatible across devices, platforms and web browsers. We use frameworks such as Bootstrap for responsive design. We can build custom WordPress themes that allow you to create and manage your content in a user friendly fashion. We can also integrate secure online HIPAA compliant forms with your design. We test the websites that we build on computers including PCs and Macs, tablets (including the iPad and Surface Pro 4), Android smartphones, and iPhone devices. 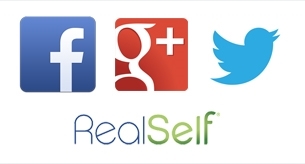 Social media is an important component of any online marketing strategy. MedForward's team of experts will help you continue to engage your core patient base and attract new visitors through social media channels. Excellent website design that communicates your professionalism. Better search engine optimization so you rank higher for important search terms. We speak your language - we'll write content and communicate more effectively than other website companies. Your practice will stand out from your competition. Excellent customer service - professional and fast-turnaround time. HIPAA compliant secure online form integration. Expertise in WordPress - fast loading times and easy to manage content. MedForward strives to offer all our clients the best in medical website design, marketing, and management. Whether you need help creating your social media campaign, redesigning your site, or tracking traffic to your page, MedForward can help. "I really like that when I send an e-mail to MedForward's support team, I immediately get an e-mail back that confirms they received it. I also find that I don't have to continually follow-up with them. They stay on top of our website's online presence. Our website is looking great." Maryland Dermatology Laser Skin and Vein Institute.